Porcelain fused to metal, or PFM restorations have been a standard in restorative dentistry for more than three decades. 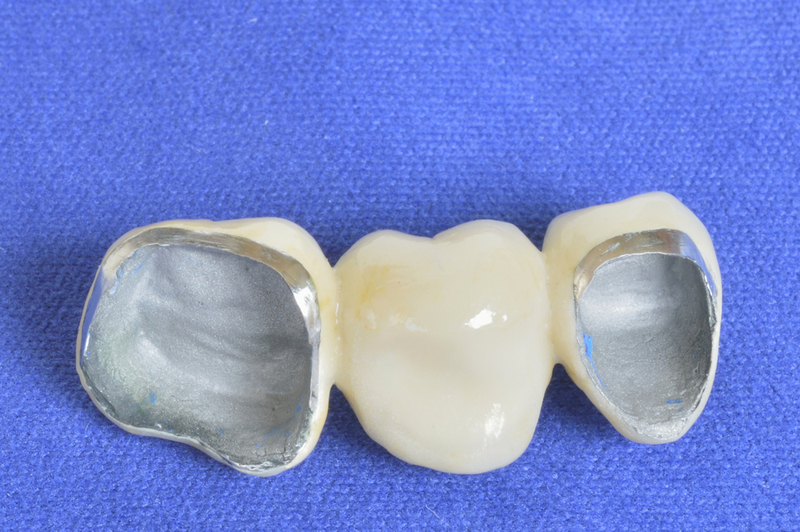 During that time, dentists around the world have adopted PFM crowns and bridges due to the versatility for use, as well as their ability to be matched to surrounding teeth. PFM crowns provide an excellent balance between resilience and esthetics. The underlying metal portion of the restorations provides long-lasting durability while the porcelain outer layer delivers a natural-looking appearance. To protect a tooth that is broken or damaged. Am I a candidate for PFM restorations? You may be a candidate for PFM restorations if you are looking for a strong, but aesthetically appealing crown or bridge. PFM is especially beneficial to patients who suffer with bruxism that could lead to the deterioration of all-ceramic restorations. To find out more about porcelain-fused-to-metal restorations, contact your dentist to schedule a consultation. What should I expect when being fitted for a PFM restoration? You’re tooth will be prepared for your new [city] PFM restoration as your dentist gently removes the outer layer for bonding. An impression of your teeth will be made and sent to a dental lab for fabrication of a PFM restoration in a shade that matches your natural teeth. Finally, the restoration will be sent back for placement and permanent bonding. Will I need to follow any special post-treatment care guidelines after being fit for a PFM restoration? It is normal to experience some sensitivity to hot and cold temperatures after having a PFM restoration placed. However, this should subside, as should any soreness caused by tooth preparation. Be sure to follow the instructions provided to you by your dentist, and continue brushing and flossing on a daily basis to keep your PFM restoration clean and well cared for. Tell your dentist if your PFM crown or bridge causes you any pain of any kind or if it comes loose.